This Morilee prom dress 42021 is going to be a showstopper at your next event. 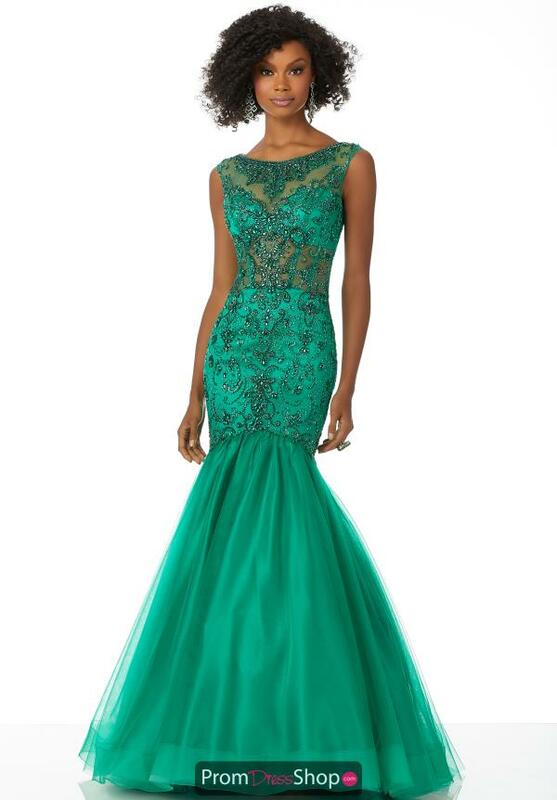 Beautiful bead work all along the dress, and lace detailing along the illusion high neckline. A mermaid skirt for a fit and flare look to help accentuate your natural curves. Look for more mermaid dresses at the PromDressShop.com.